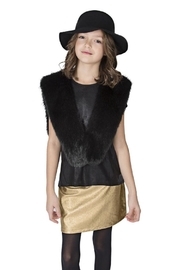 Real look faux fur black capelet to keep you warm while adding the perfect finishing touch to your holiday outfit. Throw over the shoulders and either wrap or hook with the hidden front hook & eye closures. 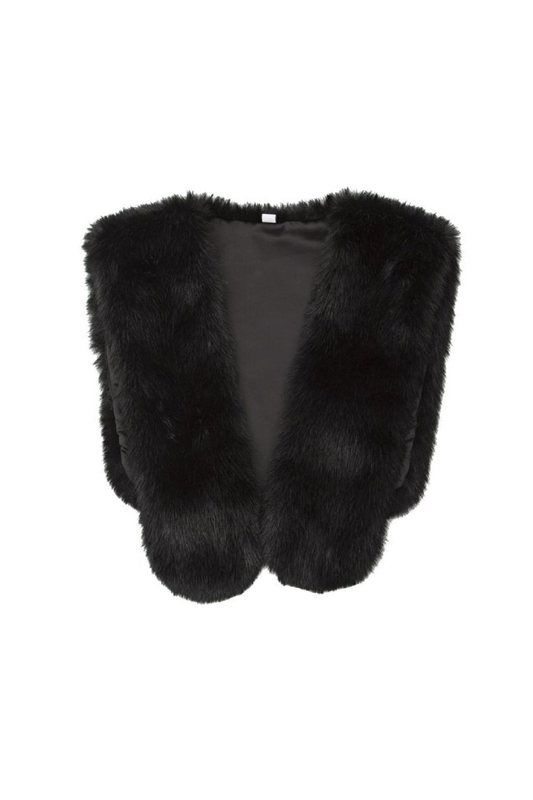 Fully lined, Allover black long smooth faux fur. Add a luxe touch in the blink of an eye! Care Instructions: Turn garment inside out. Hand wash cold separately. Do not bleach. Line dry. Do not iron decoration. Do not dry clean. Do not use as sleepwear.